Britain is in the grip of a scandalous housing crisis born of a Thatcherite delusion that “the market will provide,” a veteran filmmaker and political activist has said. But Britons cannot continue to let their financial system dictate policy, he warned. 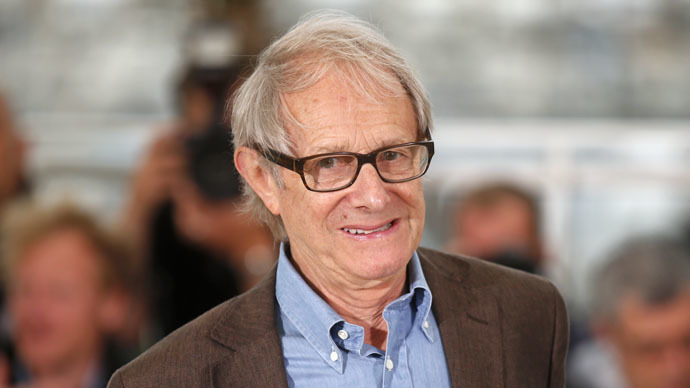 In an interview with the Guardian, socialist filmmaker and political activist Ken Loach said Britain’s housing crisis is worse than it was 50 years ago. He warned it's increasingly characterized by homelessness, social cleansing and astronomical property prices. Loach, 78, who founded the radical socialist group Left Unity with other leading activists and academics in 2013, stressed “93,000 children arecategorized as homeless” in Britain and are experiencing diminished life opportunities as a result. “Having a house is a prerequisite for building a decent life,” he said. Loach offered his scathing assessment of Britain’s housing crisis at ‘Homes for Britain’ – an event held in central London on Tuesday. Speaking to the Guardian at the rally, he expressed doubt over UK political parties’ willingness to tackle Britain's housing crisis. He said the majority view it in a cynical light. The Labour Party is “slightly better than the Tories” but by and large it’s “business as usual,” he said. The social realist filmmaker, who first gained recognition for his ground-breaking film Cathy Come Home (1966), said the manner in which the situation has deteriorated is not surprising. Britain underwent a“shift in consciousness”following the rise of the Thatcher government that duped people into believing the market would provide, he said. “Well the market has not provided, and will never provide,” he warned. The socialist campaigner and Left Unity member said Britons cannot rely on the current financial system to dictate policy planning. He has long espoused his aversion to neoliberal policies spearheaded by former Prime Minister Margaret Thatcher. Following the death of Thatcher in April 2014, he called for the privatization of her funeral, and for it to be awarded to the lowest bidder in memory of her legacy. Reflecting on the state’s housing crisis, Loach suggested the market favors large profits for construction firms, “grotesque” property prices in West London, and the ousting of poor families from London to cheaper locations. Homes for Britain was hosted by Jonathan Dimbley and attended by as many as 2,500 campaigners. It’s estimated to have been the largest housing justice rally in UK history. Among those who spoke at the event were Loach and a diverse group of MPs including UKIP chief Nigel Farage. Other speakers included campaigners, academics, social policy experts and professionals from the building industry. Farage and Loach’s proposed solutions to the crisis were radically different. Farage claimed slashing immigration numbers would taper demand for housing in Britain. But Loach proposed a far-reaching government building scheme similar to Aneurin Bevan’s in the 1940s, whereby builders, planners and architects were directly employed by the state. He went on to reflect on his globally renowned film Cathy Come Home, which told the story of a family whose lives were ravaged by homelessness. The lead characters, Cathy and Reg, were evicted from their house, and forced to survive by squatting illegally and sleeping in homeless shelters. “When Cathy Come Home was made, homelessness was a major issue. Husbands were separated from their families because they had no home, there was terrible poverty accommodation, it was a horror story,” Loach told the rally. “It is much worse now… much worse. 93,000 kids homeless! What a disgrace in this rich country,” he said. It called upon the next government to deliver a plan to solve the UK's housing crisis before yet another generation is burdened with it.